Oily skin is primarily due to the overactive skin glands that lubricate the skin by secreting oils. These oils are called as sebum. When the glands secrete too much sebum then the skin gets oily and as a result of that become acne /pimple prone. 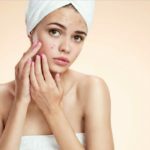 Hormonal imbalance can also lead to over activeness of these skin glands to secrete more than the required quantity of skin oils. 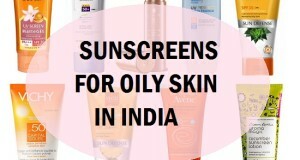 Hot and humid weather is also one of the causes for oily skin. But here what is more important is to properly take care of the oily skin. 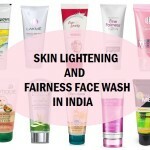 Ayurveda has lot of beneficial tips and solutions that can help the oily skin stay clean and problem free. With the help of Ayurvedic tips, oily skin also stay in control. 1. Make a paste of neem leaves with some water and apply that on the face. You can make the paste one time and store that in the refrigerator in an air tight jar or container. Use that daily on the face. 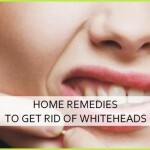 This will eliminate the excessive oils and also keep the pimples way. 2. 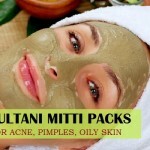 Take a small piece of multani mitti, also known as Fuller’s Earth. Make a paste of that with water and apply all over the face. This will absorb the extra oils and sebum off the face. This can be tried every alternate day to treat the oily skin with Ayurvedic help. 4. 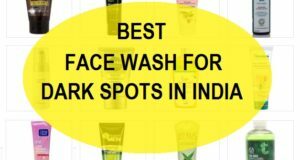 To keep you oily skin’s pores free from the dirt and dead skin cells. Try using a baking soda with water paste. This paste should be used on the face like we scrub. This will keep the skin pores cleanser. 5. 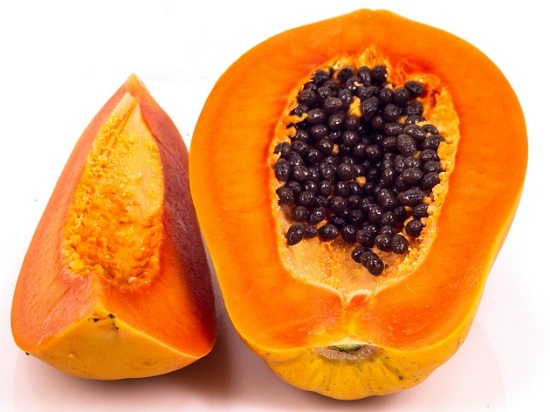 Applying papaya juice daily on the oily skin also help to keep the face cleaner. The papaya juice as mentioned in Ayurveda will help to gentle exfoliate the uppermost dead skin layer and thus the skin become clearer, this also keep the skin color brighter. 6. Rubbing tomato juice everyday also has the similar kind of effect as that of the papaya juice. So, just take a slice of tomato and rub over the face. Keep this for the entire night and see the results. This will tighten the enlarged pores which also secretes too much of oils and sebum thus making skin much oilier. 7. 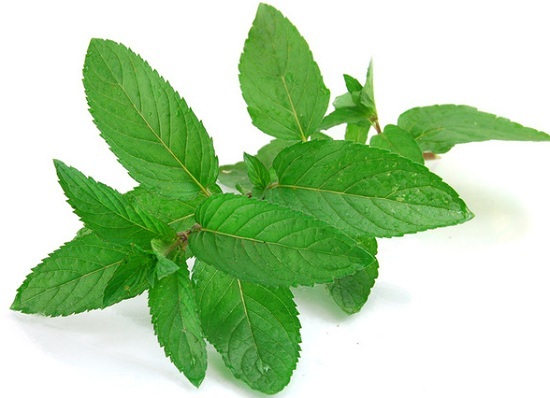 Make a paste of fresh mint leaves and just like the neem leaves paste you can store that for up to a week in the refrigerator. Apply this daily on the oily skin and rinse the face after 20 minutes. 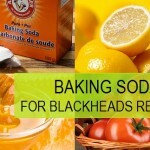 This will keep the acne and pimples in control and also keep oily skin relief from the whiteheads and blackheads. 9. 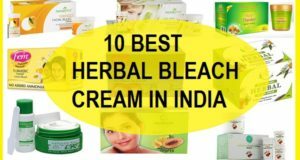 Make a paste of gram flour (Besan) with some buttermilk and apply that on the face. This is also beneficial for the oily skinned people. 10. Another great Ayurvedic beauty tip to treat the oily skin is with the help of turmeric and curd. Make a paste of curd and 1 pinch of turmeric. Apply evenly all over the facial skin. Then wash after 15 minutes. 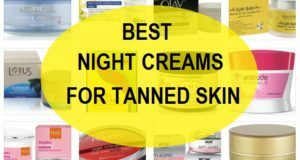 This gets rid of the oils and keeps the skin looking fairer. 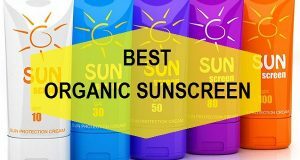 Avoid skin care and makeup products that do not suit your oily skin. 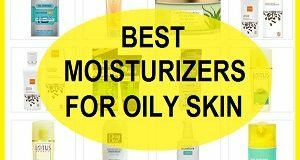 Or in other words, the products which are not formulated for oily combination skin types. Avoid fried and greasy food which are hard to digest and makes you feel sluggish. Green leafy vegetable and fruits should be daily included in the diet. Fruit juice should be taken daily if not the fruits. Avoid excessive use of drinks with soda. Do not touch the face with hands too much as that can lead to acne. Always exfoliate the oily skin 2-3 times in a week to keep your skin pores clean. Do not sleep with your makeup, take the makeup off properly. 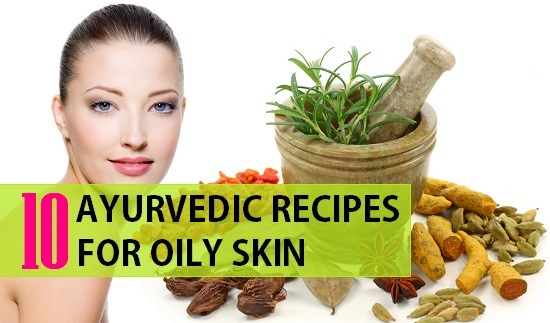 Now, we think you can tackle your oily skin well and get the benefits of these Ayurvedic tips for oily skin care at home.